Here are some of the GREAT wedding tips we've collected along the way from couples we've serviced! 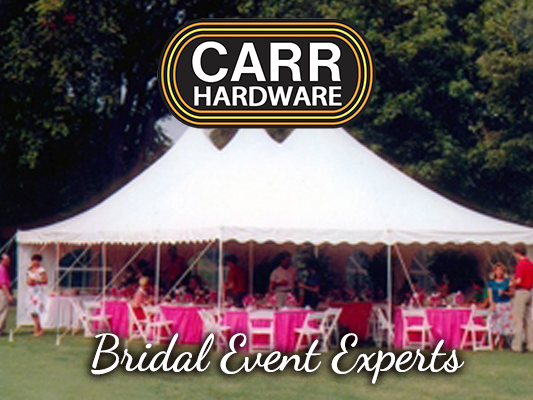 If you're having an outdoor wedding and rent a tent, purchase some sheer fabric from the store and drape it from the canopy and along the poles to create a more intimate feel! If you are having a kid-friendly wedding, hire babysitters to sit with the children in a designated area so that strollers are not creating guest congestion or safety hazards. Make out an additional list of special pictures you'd like to have taken at your wedding. The photographer won't know to take a picture of you and your 95 year old Aunt Ruth! When shopping for your wedding gown, do not rely on the single opinion of the store clerk. Take your mother and maybe your Maid / Matron of Honor with you! When you budget your time for the limo, it may not be a good idea to "joy ride" in it if the limo driver has to wait until the end of the reception to leave. The longer the driver is there, the more you will have pay! Smashing the wedding cake in each other's faces is no longer "fun". Opt instead for a napkin and two forks so that no one gets tempted to "seize the moment" and leave their spouse doused in buttercream frosting. The bouquet you toss at your wedding does not have to be the same size as your actual bouquet! It can be a smaller version that will be cheaper! If you have a full year before your wedding, you have the opportunity to retrieve things for your wedding at a discounted end-of-season rate. For example, if you are getting married in the fall of 2013, you could get end-of-season fall prices on faux hay, scarecrows, stuffed pumpkins, spice candles,etc. Be prompt! It's fine and dandy to have your schedule for your wedding day but you need to make sure you stick with it! Your wedding day will find you without any concept of time and you need to make sure that someone else will keep you updated and on task of what's happening. Attach your huge train at the church (make sure you're early enough!)! It makes for easier in and out access from the limo! Do give your wedding party their gifts at the rehearsal dinner. Waiting until the morning of the wedding can be chaotic!